If you’re looking for a Mount Pleasant condo, our featured listing at 1704 Basildon Road may be a perfect fit. The 1,063 square foot unit is located in the Park West neighborhood which offers amenities such as a pool, clubhouse, gym, and walking paths so there is never a shortage of things to do. 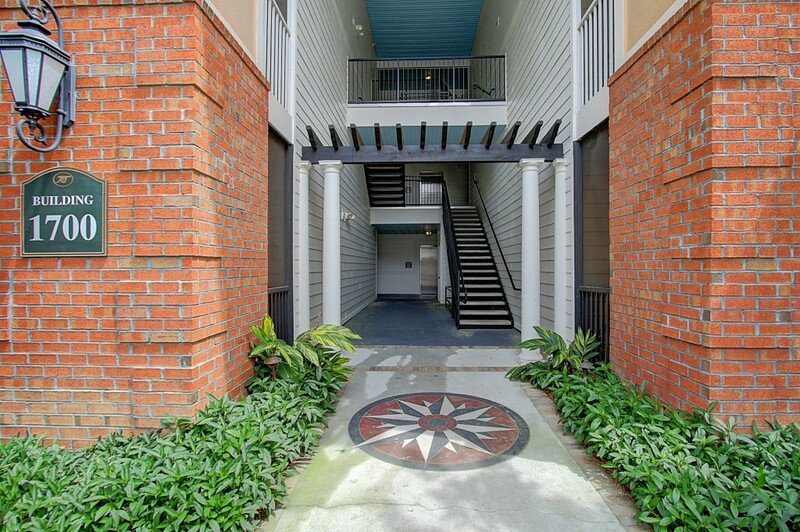 It is located in Mount Pleasant just minutes from grocery stores, local restaurants and the beaches of Isle of Palms and Sullivans Island. The one-story unit is conveniently located on the first floor with a light-filled and open plan. 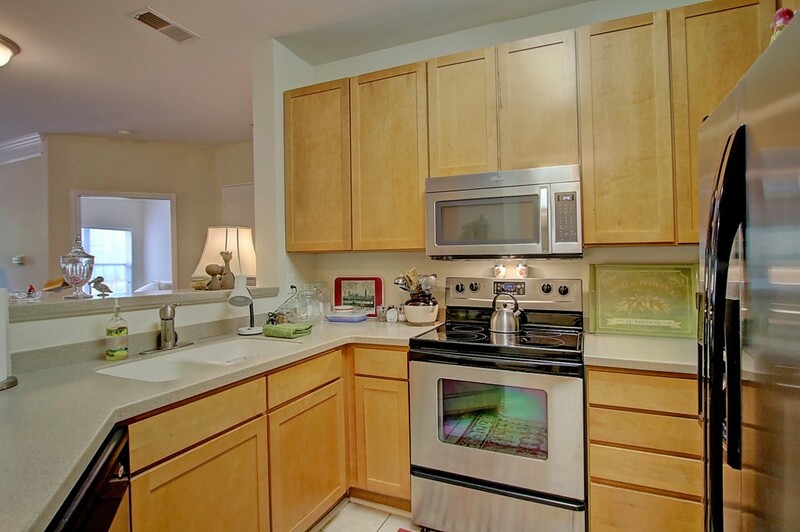 The kitchen has been updated with stainless steel appliances and it has a small breakfast bar for seating. The living room opens from the kitchen and there is glass door opening to the covered screen porch. 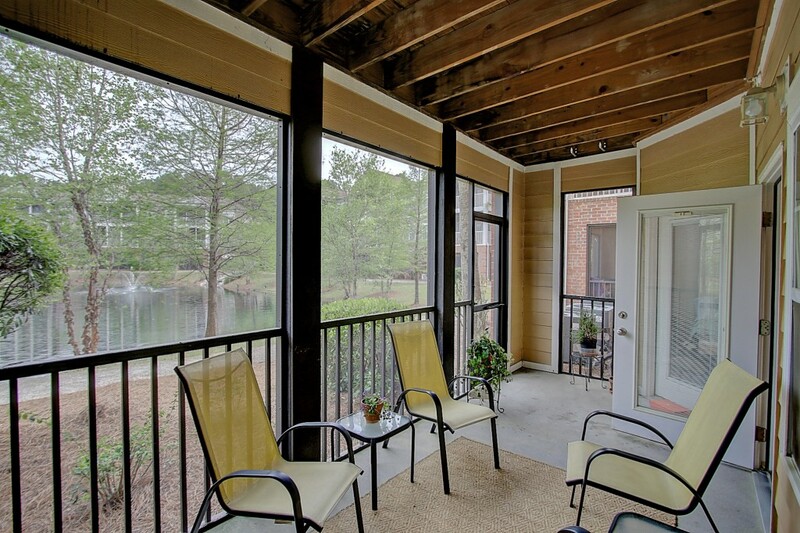 Relax and enjoy the beautiful Charleston weather on the porch–while overlooking a neighborhood lake. The condo’s two bedrooms are located on opposite sides of the unit for maximum privacy. 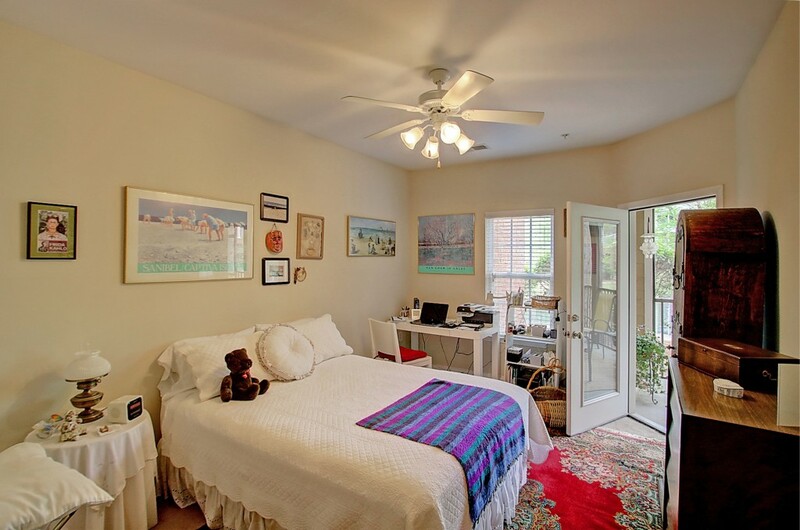 The master bedroom features a walk-in closet, an en suite bath and access to the screened porch. The guest bedroom is also well-sized, with access to the screened porch, and is shares access to a hallway full bath. If this property sounds like it might be a fit, please contact listing agent Margaret Todd Truluck to setup a private showing. 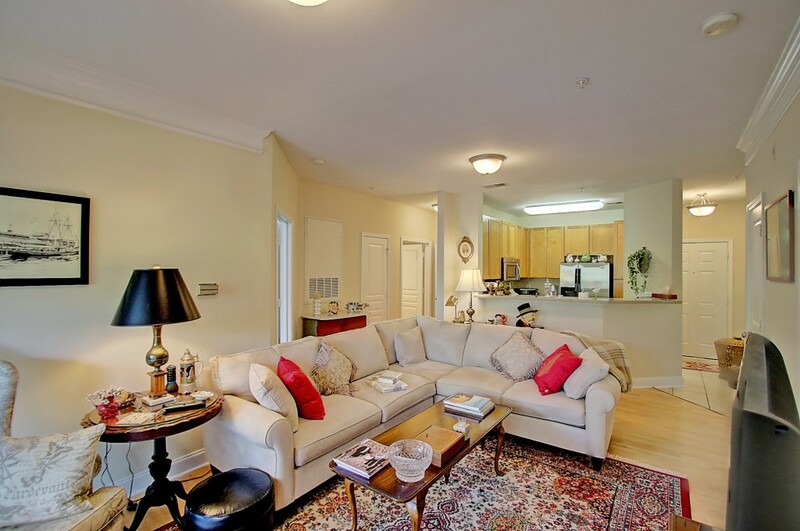 To see more Mount Pleasant condos for sale, click here. For a photo slideshow of the property, click here.